Welcome to our first edition of the ONVIF newsletter in the new year. 2018 holds special significance for ONVIF as it marks our 10th year as an organization striving for interoperability within the physical security industry. We’re proud to have accomplished so much in those 10 years, from that “notes on the cocktail napkin” moment, where ONVIF founders sketched out the framework for fulfilling the industry’s need for interoperability standards to developing six unique profiles that address our market’s main areas of demand. ONVIF was pleased to have participated in Intersec 2018 in late January in Dubai, where Stuart Rawling, Steering Committee member, spoke as part of Intersec’s AI and Information Security Conference. In this discussion, “It takes a Village: Addressing Cyber Security Threats Through Standardization, People and Process,” Rawling discussed the interplay between the elements of standardization, people and processes, and how ONVIF leverages established best practices for cyber security in its specifications. Rawling stressed that the importance of cyber security is exponentially increasing, as the number of IoT devices is expected to surge in the next three years. ONVIF was pleased to partner with the Security Industry Association to conduct a free webinar discussion how ONVIF and other standards associations work in tandem to enable interoperability. ONVIF Chairman Per Björkdahl presented on the topic of “The Standards War: Is It Over?” He explained the history of ONVIF as it compares to other standards associations, and the need for standards initiatives to harmonize, rather than compete and divide the industry. In the past year, ONVIF has continued its effort to increase engagement with its members and the security community by expanding its presence on platforms we’ve been using, and venturing into new ones. You can follow ONVIF on YouTube, Facebook, Twitter and LinkedIn for the latest updates on ONVIF news and events. Another edition of the ONVIF Times has been published, containing all the latest news and perspective from ONVIF and its member companies. In this edition, you’ll find articles on cyber security, member perspectives on interoperability, Safe Cities and the importance of an open platform approach in today’s group. ONVIF Times is produced in conjunction with Security Buyer magazine and Hand Media. To view the latest edition click here. Stuart Rawling, Director of Business Development for Pelco by Schneider Electric, Full member level. We look forward to marking many milestones this year as we reflect on our path thus far – successes in specification and profile development and adoption, membership growth and participation – giving ONVIF the critical mass of users, adopters and contributors necessary to influence significant progress in the market. The road not always been smooth but any bumps have served to help our organization refine its focus, approach and ultimately our offering to the market. Our member companies are what has kept ONVIF strong and focused on our mission. To them I would like to convey a heartfelt thank you on behalf of our organization and the industry for their contributions, expertise, and above all, to their belief in the mission of ONVIF. Our work, however, is far from done. The evolving world of the Internet of Things represents great potential for new business models but represents uncharted territory in how standards will guide that evolution and what role our industry will ultimately play. Closer to home, our existing specifications and profiles are under constant refinement to ensure that we continue to meet the needs of the market. To that end, this year ONVIF is embarking on an ambitious voice of customer initiative, where we’ll be soliciting direct feedback from systems integrators and end users in many areas of the world throughout the year. We hope you’ll consider letting us know your opinion of our first ten years at info@onvif.org. I wish continued success to all in 2018. ONVIF was also excited to be at Intersec 2018 with nearly 80 of our member companies that were also participating in the exhibition this year. In case you missed it, you can view the recorded webinar here. For 2018, we’re announcing the addition of the WeChat platform, a Chinese multi-purpose social media mobile application which has become one of the largest standalone messaging apps. What does Pelco by Schneider Electric do? 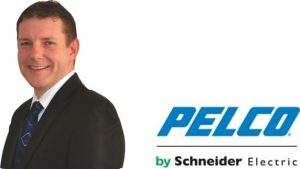 Pelco by Schneider Electric is focused on the development of video surveillance and security solutions that provide security end users with the information necessary to make real-time, business-enabling decisions. Our industry-leading selection of IP cameras and video security products and systems are complemented with an unparalleled level of customer support and services. How long has Pelco been in the physical security market? For more than 25 years, Pelco by Schneider Electric has been a global leader in professional video surveillance and security system products and technologies. Pelco has a local presence in 136 countries and more than 4,000 integration partners worldwide. Our personal engagement with customers, resellers and technology partners drives the development and deployment of surveillance and security solutions with meaningful innovation. We joined the ONVIF organization in 2009 as we wanted to embrace interoperability as a key company growth strategy. We quickly saw and experienced the benefits of membership and participation of standards development. An open standard for the physical security industry has many benefits for security end users, and it helps manufacturers to build a partnership ecostructure, as well. The Pelco by Schneider Electric team is thrilled to be an active part of several committees, including the Steering Committee, Technical Committee, Technical Services Committee, and Communications Committee. We are also involved in the Profile Technical Services Committee Working Group to develop the profiles, test specification, test tool and conformance process. What does it mean to you to be member of ONVIF and what kinds of benefits have you seen as a result? Pelco has been a supporter and member of ONVIF and its mission and activities for more than eight years. With the support of Pelco and other industry manufacturers, ONVIF has driven the development and implementation of several profiles that are making it possible for disparate security systems to work more harmoniously with one another. This allows industry manufacturers such as Pelco to pave the way and to get ahead of the technology curve, which ultimately enables the future of the security industry to be agnostic and greatly influences future communication technologies. Pelco by Schneider Electric’s leadership and involvement with ONVIF and its industry partners has led to the design and production of many ONVIF compliant security products and solutions that benefit security end users in several ways, including greater product choice and integration, and overall interoperability into their risk mitigation strategies. Security end users are increasingly looking towards ONVIF-compliant security solutions, such as those offered by Pelco by Schneider Electric, to secure their enterprises. Milestone is a provider of open platform network Video Management Software (VMS). 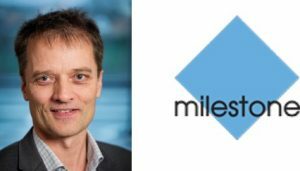 How long has Milestone been in the physical security market? Since 1998; nine times reported by I.H.S. Market research as the worldwide top provider of open platform VMS. Milestone has been a member of ONVIF since it was founded. We believe in industry standards because adherence to standards makes life easier for users and customers. We know and understand the importance of industry standards as best practice methodology from the IT sector, to ensure compatibility between solution components for optimal operations. Milestone supports ONVIF and the initiatives to have true market standards, as this is the way to ensure interoperability of devices. Our company is based on openness, and we have a vison to drive the global convergence of video surveillance systems and IP-based business systems. This is not possible without evolving standards like ONVIF. We see a very clear benefit from the work ONVIF is doing: it helps us in our goals for providing easy connectivity between our software and the widest choice in hardware. Standards provide a critical foundation for interconnecting hardware devices and software in security systems. Standards are important, especially for an industry like ours that is splintered globally into so many different providers, each with their own firmware, for example. Milestone’s business model and product architecture are based on an open platform, which supports the importance of industry standards. The work ONVIF is doing is a real benefit for us, as we spend less time on getting specific cameras tested and certified to work with our software. We have developed tools for camera manufacturers to verify their compliance with our ONVIF driver. This makes for rapid product introductions, ease of mind for installers and customers, and fast increases in the number of certified cameras. In addition to this, we use ONVIF for interconnectivity products like Milestone’s ONVIF Bridge. This allows our XProtect software to connect to VMS systems from other vendors. They can then access the Milestone connected cameras as ONVIF compatible cameras. We have several additional examples where ONVIF standards are helping us. Edge Storage is just one of them.